If you didn’t know, we have our own YouTube channel for Attack of the Androids. 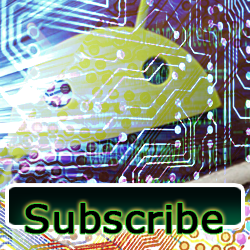 Make sure to subscribe to our new channel. Eric had quite the lovely LTE experience on his new Nexus 7, but now he’s back home, where LTE doesn’t exist. It was pure bliss for the couple of days he had access. Overall, the new Nexus 7 is outstanding. 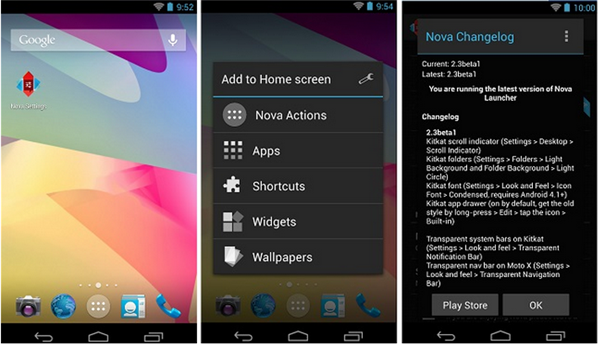 Eric let’s us know about the Nova Launcher 2.3 beta. Not getting Kit Kat on your device? Well at least with this you can pretend. Android Authority has an article about it here. Have you messed with the new Nova Launcher 2.3 beta? We have a fun discussion on the evolution of the homescreen. How do you use your homescreen? Is it full of widgets or app icons and folders? Personally I live on one main screen and a secondary for the rest of my stuff. Is Samsung completely nuts or genius? Have you ever heard of Tizen? Apparently Samsung wants to replace Android with Tizen. Eric says it’s a non starter. Check out the article here. If you launch Google Now, you can use Ok Jarvis, and a few other choice phrases. Beam me up Scotty! Android Community has an article about it here. Note the comments on the article. All sorts of commands seem to work. Here’s a great article on XDA Developers about how new TI Omap drivers will hopefully make it possible to develop Kit Kat for the Galaxy Nexus. Let’s talk about the OUYA. 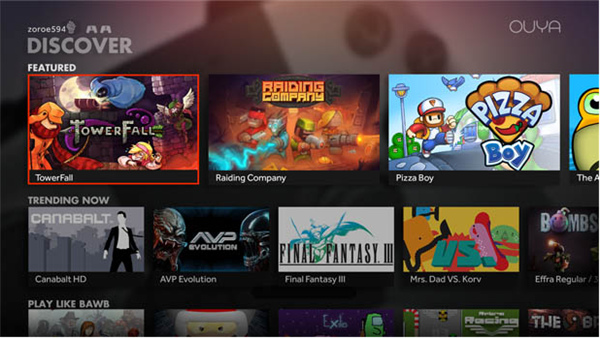 Engadget has an article here about how the OUYA is getting a new UI later this month. In all honesty, it’s not much of a redesign, so much as it’s a minor touch up. Nick’s OUYA is completely gathering dust. Is yours? I noticed the Play Store got a little redesign as well. Once you get used to it, it’s quite nice. But it does take a minute to get your muscle memory to re learn where everything is. Here’s an article on Forbes about how the Moto X was supposed to be the best answer to the iPhone, but has kind of failed. Personally, I use a Moto X, and I love it. But the launch could have gone better. But can’t you always say that? Let’s talk about the Oppo N1. Did I mention it comes with CM, and the camera swivels? How great is that? It’s 13 megapixels great. 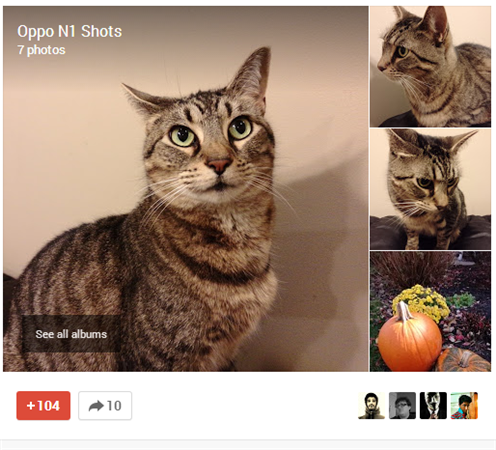 Check out the pictures Derek Ross took on Google+ to see how the Oppo N1 does. This cool phone has already launched in China, and Android Community has an article about it here. You should also check out the first look video here on Android Authority. Phandroid also has a first look video here. Wondering which roms will get Kit Kat love? Check out this awesome list over on Android Authority. Perhaps the Moto X on Verizon won’t be getting 4.3, and will jump straight to Android 4.4. Check out the article here on Phandroid. Are you sick of wiping your device every time you unlock the bootloader? Well fear not, well, not for some at least. Check out the article here on Android Police. Eric – Google TV Remote by Google Inc.
Nick – Quickoffice by Google Inc. Check out Escape Goats and The Blame EP on Google Play. You can also get them free here on my music page, or on my SoundCloud page. It’s hip hop I made, if you like that sort of thing, I think you’ll enjoy it. My albums are also available via Google Play Music All Access. Stay up with the Android discussion during the week on our AotA Google+ Community. You can also follow us on Facebook, Twitter and the AotA Google+ page to know when episodes are posted, and when the show goes live. Also make sure you subscribe to the new Attack of the Androids YouTube channel.